We all experience great things every day. I always think I will remember them forever but I forget most of the greatness I experience. I am human and I forget. I read about the Jar of Awesome. The idea is to write down your awesome experiences on a little note and drop it into the jar. When you have a bad day or just out of gas, reach into the jar and relive the greatness. Here are two things I put into my jar today. Memories I never want to forget. 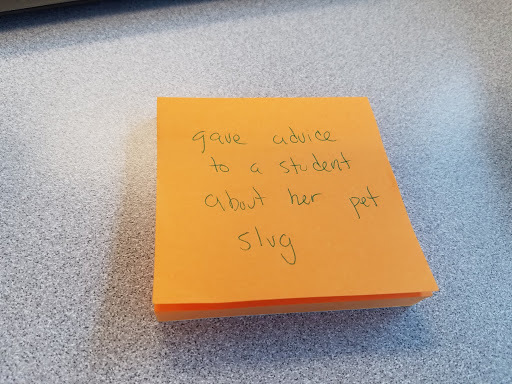 I put a request out on facebook for advice on how to care for a slug as I know nothing about caring for such a delicate pet. Got some really great advice from Joe the Genius. I was able to relay information to a very grateful student. We then talked about the possibility of the Wolly Monmouth being brought back to life through a little DNA science. Our concern is figuring out where it could live so it would be protected and could be studied. Maybe an island near Russia? I was able to talk to my brother for a bit today. Every conversation I have had with him always leaves me in a better place, never fails. We talked and laughed about our adventures from years ago. Recalling those long lost days always brings us to tears, laughing so hard my stomach still hurts. Funny how some bonds are foraged and how they are unbreakable. I am always sad when we hang up and so thankful for one more chat. 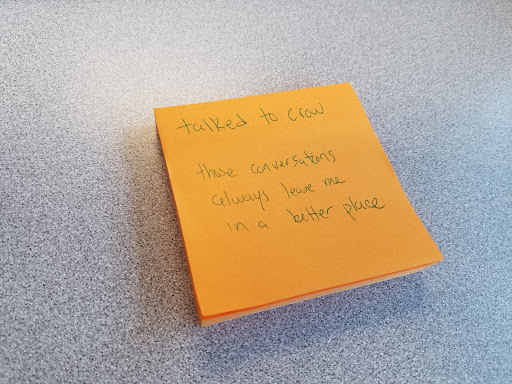 Both of these notes helped put me on the right side of gratitude. Thought I would post a great picture of my brother. Crow on the left and I’m on the right, fast asleep. This was after spending a week or so in the jungle. 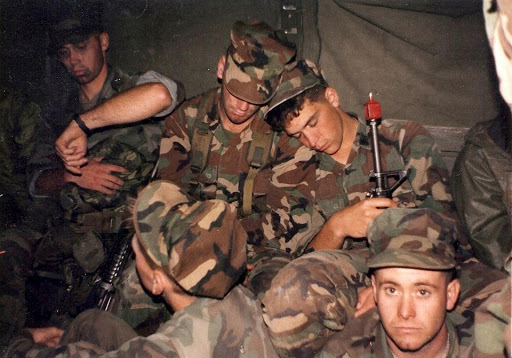 Okinawa 1992. Previous Post Being a parent means you will be waiting a lot. Next Post I have a magical book. That would be the best idea! Pre-filled with a few slips would make it so over the top. Love this! 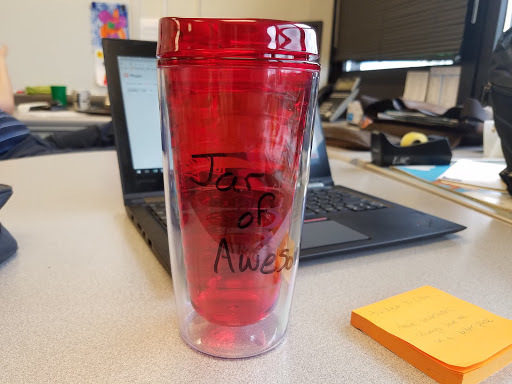 I'm going to copy your jar of awesome! And you totally charmed me with the slug advice. something to be genuinely proud of!